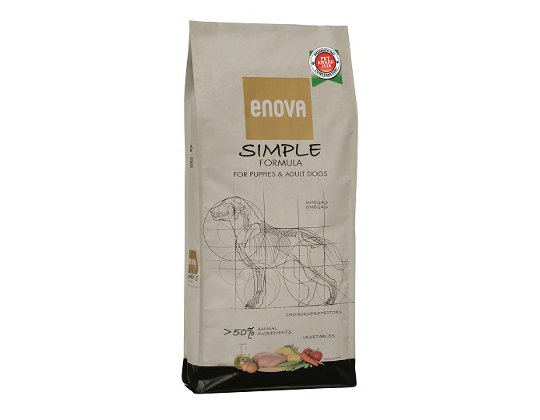 Still haven’t found a food that is able to fix the food intolerance issues of your sensitive dog, and neither fish-based kibbles seem to be beneficial? 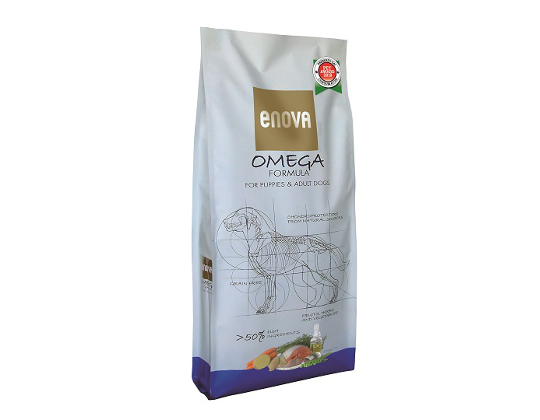 Looking for a fresh new taste for your dog that looks not-so-greedy anymore for its current food? Trying to find something really new & different in order to provide a rotational, more complete and varied diet to alternate with chicken-, lamb- or fish-based foods? We have an answer for you all! 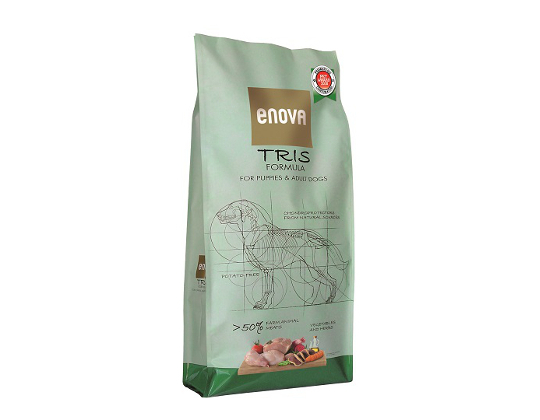 ENOVA TRIS Formula is packed with a full 50% of 3 different farm-animal meats (rabbit, pork and duck) that are normally well tolerated, even by very sensitive dogs. The recipe, that is grain- and potato-free – the other main suspects for food allergy and intolerance in dogs, is completed with legumes, vegetables, herbs and functional ingredients (such as MOS, FOS and natural sources of chondroprotectors) for a total well-being of digestive trait and locomotive apparatus. 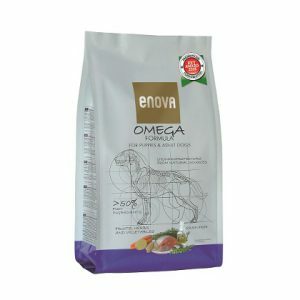 All these features in a dry food suitable for dogs of any size and lifestage, that is nutrient rich, fully complete and grain-free – that is the 3rd recipe of the ENOVA Formula range, that includes the top-selling (and double Pet Award winning) ENOVA SIMPLE and the more recent all-fish formula ENOVA OMEGA, that was awarded the italian Pet Award year 2017 as well.